The Bet At Home Casino is one of the most popular online casino sites in the country. Known for its excellent range of games and really large jackpots, the site has something to suit everyone. It has been in operation for more than a decade and operates in several countries including Gibraltar, Germany, Austria and Malta. Its gaming license is provided in Malta. The company is dedicated to responsible gaming and provides excellent information on the site. You can choose to make deposits and withdrawals via a number of popular methods. One of the biggest advantages of the site is the large jackpots on offer. As you’ll see on the ‘Top Winners’ list, the amounts won are typically above £1,000. Overall this is a good site to check out, but it isn’t one of the best casino sites out there. There are 17 different table games to choose from, including a range of Roulette games, Texas Hold’Em and BlackJack. You will find a variety of roulette games including French, American and European variations. 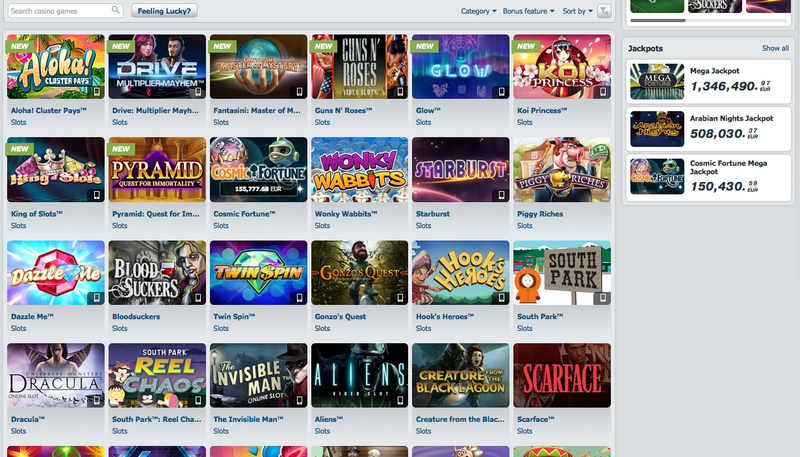 Some of the more exclusive games on the site include Double Exposure BlackJack, Punto Banco and Pontoon. All of the games come with really impressive graphics and realistic gameplay. Three of the casino games can be played via a mobile device; these include Roulette, BlackJack and BlackJack Classic. Roulette is one of the most popular games on the site, along with Texas Hold’Em. The design of Bet At Home Casino is surprisingly disappointing. The majority of casino sites tend to make the most of a black colour scheme. This provides a more professional, sophisticated design. Bet At Home Casino doesn’t do this however. Instead it has opted for a mainly white colour scheme with a fairly messy layout. It actually gives more of an amateur impression rather than a well-known, successful company. It does have a clean design however, which makes everything easy to find. There is no loyalty scheme on the site which many players will find disappointing. However, loyalty schemes tend to be more popular with bingo sites, rather than casino sites.